February is Black History Month and UNAVSA is showcasing Asian activists who have contributed to the movement of empowering Black people and Black history. Many view experiences from different racial groups as unique and distinct, or are quick to form stereotypes, however, we want to show that identify and character is complex. Activists and allies of all backgrounds of past and present are crucial in progressing equality. The strides made is because people unite to ensure the growth of marginalized communities in our society. Without the help from each other, strides of change would not have been possible. 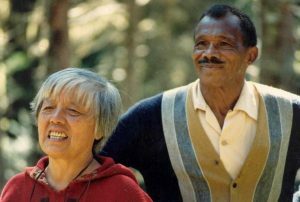 One activist we would like to highlight this month, is Grace Lee Boggs. She was best known for her contributions to movements on issues such as women’s rights, civil rights, labor rights, and Black empowerment. Boggs’ journey in activism began in the city of Chicago when she ran into a group of people protesting the poor living conditions they had. She explained, “I was aware that people were suffering, but it was more of a statistical thing. Here in Chicago I was coming into contact with it as a human thing.” Her ability to empathize and her compassion for other people are clear values in her activism. She, alongside with her husband and friends like Malcolm X, were on a mission to shift how society viewed and treated those without power. She has written books, created programs such as Detroit Summer, and even has a charter school named after her. In her autobiography she quotes, “As Jimmy Boggs used to remind us, revolutions are made out of love for people and for place. He often talked about loving America enough to change it.” With that, we encourage our constituents to take a moment to learn about Black History, how Asian Americans contributed to Black movements, and how Black History and culture continue to help shape our communities as well. We hope that you guys can see that being Asian American or Asian Canadian does not limit you to fighting injustices against Asians, but for our fellow communities as well. We ought to use our privilege as Asians to be better allies to our fellow people of color. 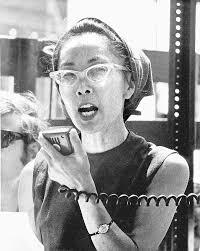 Yuri Kochiyama is a Japanese-American, who was forced into an internment camp in Arkansas. She experienced several acts of prejudice and institutionalized racism during her time there. Her experiences eventually led her to become active in the Civil Rights Movement, where she befriended Malcolm X, which whom influenced her ideas greatly. Yuri Kochiyama dedicated her life to advocating for various causes such as anti-war, the African-American liberation movement, reparations for Japanese-Americans and many more. She organized the East Coast Japanese Americans for Redress with her husband, which eventually pushed the U.S. Government to give reparations out to Japanese-American families that suffered from the internment camps. Her role as an activist transformed her into having a mentor type role for several Asian-American movements that grew around that time. She was a lifelong champion for civil rights, and her commitment to fighting for equality will always be remembered. She was honored in 2005 with a nomination for the Nobel Peace Prize.